There’s no denying Lindsay Lohan’s had a tough time of it. Born to dysfunctional Dina and Michael Lohan, Lindsay rose to stardom at an early age in Disney’s The Parent Trap and continued to make blockbuster after blockbuster throughout her teens and into her 20s. Her private life has been made very public through the tabloids, with pictures of Lohan in court and custody splashed round as gossip fodder over the past few years. Her journey in and out of rehab has also been well documented, with a recent, very public interview with Oprah prompting this post! So what does astrology say about Lindsay and what’s her Star Sign Style!? Sun in Cancer people have an affinity with the ocean and love to spend time near water, on the beach or at sea. They rule over pearls and shells and their colours reflect the silvery grey tones of the moon; they look wonderful in white and pale, creamy colours. They can be super sensitive and moody, as their emotions are closely linked to their ruling planet, the moon. I also think Cancer (the teenager or adolecent of the zodiac) can come off as a bit rebellious too, and this suits Lohan down to a tee. Lohan In Pearls, Cancer Colours And In Her Element – The Beach! Lohan is often seen pure white, which looks amazing against her skin tone – so many with red hair and fair skin wouldn’t pull it off. Venus in Leo gives Lohan her love of more ostentatious and flamboyant fashions. She’s not afraid to go glamorous, and dress in eye-catching outfits. To me, Lohan looks lovely with a Leo-style golden glow, she used to look tanned all the time a few years ago, with warm make-up and hair colour. Don’t get me wrong, I love her pale and interesting too but I think she suits the Leo colour gold, especially honey tones. Lohan’s Leo Venus could have also prompted her strong attraction to ex-girlfriend Samantha Ronson, a Leo born 7th August, 1977. Her Mercury’s in this sign too – perfect for thespian pursuits. 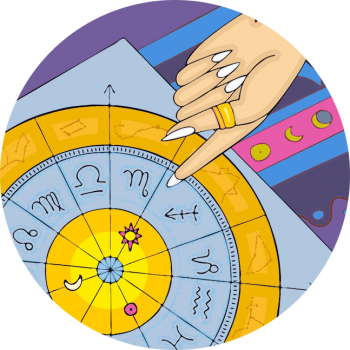 Midheaven in Scorpio lends itself to the acting profession, Lindsay has the capacity for great transformation and is likely to be intensely determined, which is great news! Aquarius Rising makes Lohan highly original, a one-off individual that’s hard to shock. These people can be cool with a detached approach to the world – they’re not afraid to be weird and wonderful, nor to surprise people. Moon in Taurus people love home comforts. I like seeing Lindsay in florals, the Taurus print. I feel that when she’s wearing this pattern she’s more ‘at home’ and relaxed with her moon in play, as oppose to ‘on-show‘ when Leo energies take hold. Mars is incarcerated in the twelfth house, perhaps representing the masculine force in Lindsay’s life, her father, who has been imprisoned 6 times over the past decade. Does it explain Lindsay’s relationship with alcohol and drugs? Quite possibly.